Construction is under way on the latest addition to the UCLA campus, the new Marion Anderson Hall at UCLA Anderson School of Management. 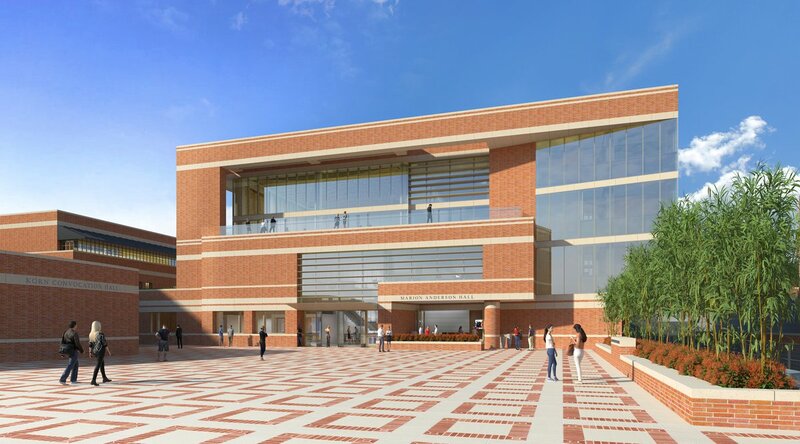 The four-story brick-clad building will complement the existing Anderson complex, also designed by PCF&P and completed in 1995. Organized around a light-filled central atrium dedicated to interaction and networking, the new facility will include flexible spaces adaptable to evolving models of business education.